Starring Dee Wallace, Peter Coyote, Henry Thomas, Robert MacNaughton, and Drew Barrymore. Anniversaries divisible by five remain popular with the Hollywood studios’ home theater divisions, so of course E.T. 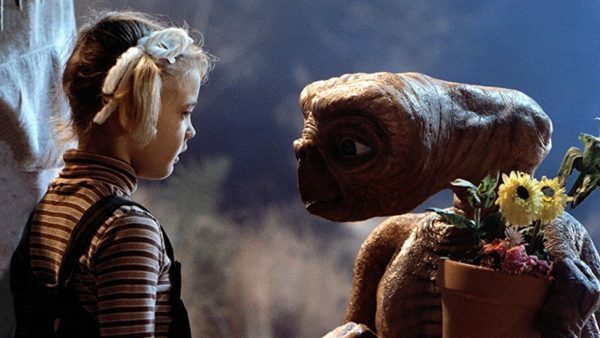 : The Extra-Terrestrial needed (not really) that treatment for its 35th anniversary. If you have the Blu-ray issued five years ago, you can skip this one, but it’s a worthwhile upgrade if you only own the 2002 two-disc DVD edition. The 1.5-hour laserdisc documentary remains missing, but a chunk of its material was repurposed for the bonus features found here. E.T. 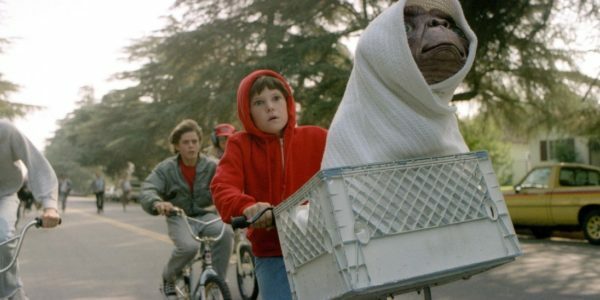 : The Extra-Terrestrial may feel hokey to modern audiences, but it’s one of many movies directed by Steven Spielberg and George Lucas that had a huge impact on my childhood and on my creative sensibilities. As such, I’m always happy to give it another spin, and this new Blu-ray release for its 35th anniversary was a perfect excuse to do so. My kids are fans of the movie too. In fact, I went through a period several years ago where my daughter wanted to watch it a few times a month. 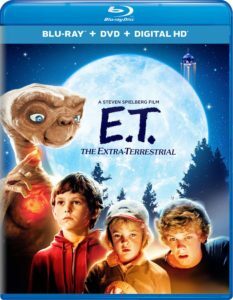 I was 12 when it was released, but I still recall the film’s ability to tap into my childhood fascination with UFOs, which Spielberg had previously connected with when he made Close Encounters of the Third Kind (fingers crossed that I get a review copy of that upcoming Blu-ray release too). 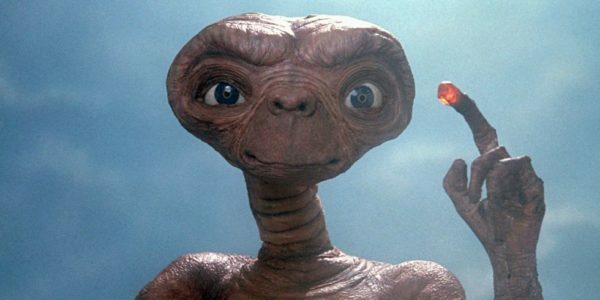 I suppose E.T. also connected with me because of my upbringing in a broken home and being dragged onto a roller coaster of insanity with my now-deceased mentally ill mother. I wished that maybe I too could encounter a lost alien, like Elliott did, and end up going on an adventure. It was an escape that I desperately needed back then. 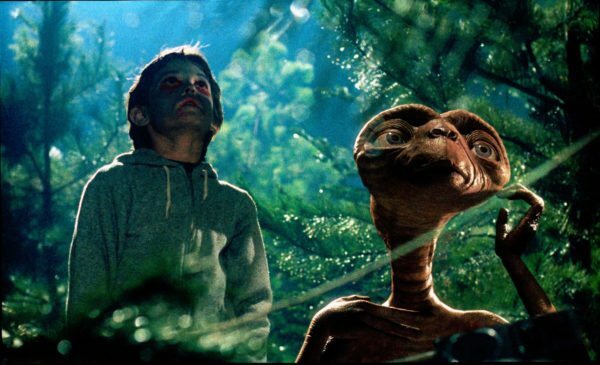 One of the scenes including digital enhancements, E.T. in the bathroom with Elliott, is found here in the deleted scenes section, along with another one featuring the kids’ mom looking for them on Halloween evening. The Halloween scene always seemed a bit out-of-place to me because of its Lord of the Flies-like quality. I’ve never seen kids running wild on Halloween the way they do in this scene. Unfortunately, this Blu-ray, which also includes the film on DVD and a code for a digital copy, doesn’t include the extensive, 1.5-hour making-of documentary originally created by Laurent Bouzereau for the 1996 laserdisc release. I’ve never seen it, but I’ve read a bit about it. 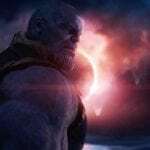 In addition to extensive interviews with the cast and crew, it includes more deleted scenes, including Harrison Ford’s appearance as Elliott’s school principal and an alternate ending. While some of Bouzereau’s other excellent laserdisc-era documentaries have been ported to Blu-ray, including his Jaws one, this one remains frustratingly elusive. From what I’ve read, footage from that documentary was sprinkled through the bonus materials on this Blu-ray. I’ve also read that this disc is identical to the Blu-ray that Universal shipped in 2012 for the film’s 30th anniversary. Most of what was on the 2002 two-disc DVD edition is included here too, although several things are missing, including an introduction by Spielberg. I have that 2002 release, but given the way the bonus materials are sliced up in both editions, it’s difficult to produce an accurate accounting of what’s missing. I’d say that if you’re a big fan of the film and have that 2002 DVD, you might as well hang onto it. If you have the 2012 Blu-ray, you can probably skip this edition. Steven Spielberg and E.T. (12 minutes): The director looks back at his early ideas for the film and his thoughts on its legacy. An interesting note: He wanted to explore how divorce affects kids, since he went through that too, and decided to bring that element into the movie, which helped give Elliott and his siblings some depth that they otherwise wouldn’t have had. The E.T. Journals (53 minutes): A two-part series of behind-the-scenes footage that runs in the order of the movie’s plot. 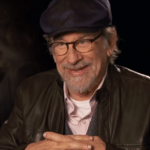 Spielberg and others also sit down to offer their thoughts. I believe much of this is culled from Bouzereau’s documentary. A Look Back (37 minutes): This documentary is from the 2002 DVD release. Unfortunately, it’s presented in standard definition. I think a lot of it is from Bouzereau’s documentary too. 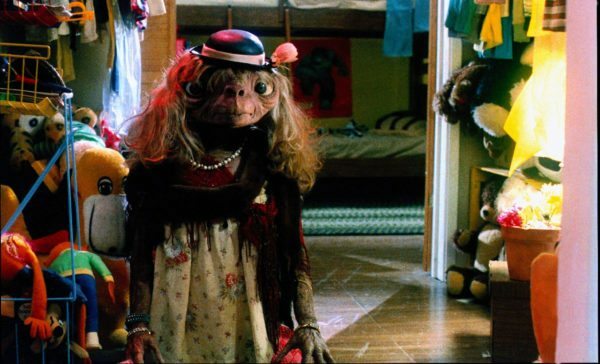 The Evolution and Creation of E.T. (50 minutes): Another piece from the 2002 DVD. After watching the last two making-of features, this one is a bit repetitive, touching again on such subjects as the divorce of Spielberg’s parents. The E.T. Reunion (18 minutes): This piece is from the 2002 DVD too and features Spielberg, producer Kathleen Kennedy, and the main cast members coming together at the time to look back on the film. 20th Anniversary Premiere (18 minutes): An excerpt from Williams performing the film’s score for a live audience. While the lack of Bouzereau’s documentary is a bummer, the bonus features on this disc are very comprehensive, and if you don’t have the 2012 Blu-ray, this one is a worthwhile purchase.